Special enrollment period for Covered California thru April 30th. It’s great news that both Healthcare.gov and Covered California are offering a Special Enrollment Period (SEP) for individuals that are becoming aware of the individual mandate penalty for not having health insurance. Unfortunately, there will still be individuals and families that enroll during this SEP that will get hit with the IRS Shared Responsibility Payment (SRP) for 2015. 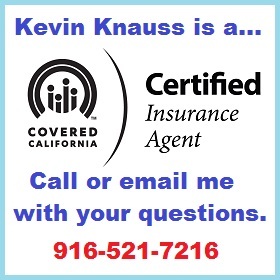 The new Covered California Special Enrollment Period will begin February 23rd and run through April 30th, 2015. Tax filers are granted an exemption from the SRP if they went without health insurance for less than three consecutive months. The Department of Health and Human Services Centers for Medicare and Medicaid (CMS) granted a special exemption during the 2014 open enrollment for individuals who were without health insurance for more than three consecutive months. 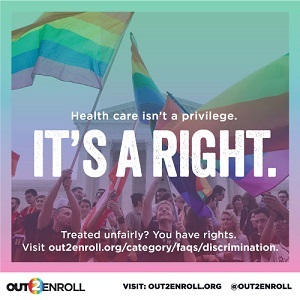 The close of the 2014 open enrollment period in March meant that some individuals and families didn’t have their health insurance become effective until May 1st. The four months without health insurance triggers a penalty for at least one month. Unless CMS grants a similar exemption for 2015, people who don’t enroll until April 30th for a health insurance effective date of June 1st, will mean those households would have been without insurance for five months. The Instructions for Form 8965 Health Coverage Exemptions details how the SRP is calculated for the months when households did not have health insurance without an exemption. While the SRP for two months without health insurance is far less than the total penalty for the entire year, reading the instructions and crunching the numbers is more agonizing than writing the check for the penalty. The Special Enrollment Period based on lack of understanding about the individual mandate penalty only applies to Marketplace exchange plans at this time. Health insurance companies and health plans do not have to provide the same or similar special enrollment period if they don’t want to. However, some private health insurance plans may offer the SEP in the coming weeks. But those plans, purchased directly from the company will not have any tax credits to reduce the monthly premium. The tax penalty aside, Californians who have a life-changing event — for example, having a baby, getting married, losing their health care coverage because they have changed jobs or moving to another area — can qualify for a special-enrollment period through Covered California. They can sign up for coverage as long as they do so within 60 days of the qualifying life event. That family of four will see its bill jump from nearly $500 to almost $1,000. During the final weeks of open enrollment, Covered California served consumers who literally went straight from their tax adviser to a certified enroller after learning they would lose hundreds of dollars because they were uninsured in 2014. As of Monday, Feb. 23, consumers may enroll at CoveredCA.com and can find the nearest Certified Enrollment Counselor or Certified Insurance Agent to help them enroll. 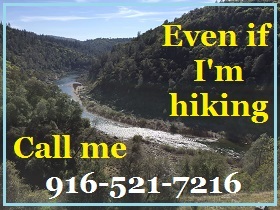 Consumers also can call the Covered California Service Center, at (800) 300-1506, where a representative will help them. To get across the finish line for open enrollment, with coverage effective on March 1, however, consumers cannot enroll without the help of an agent, a counselor or Covered California’s Service Center. “We encourage everyone to research their options through Covered California to see what health care coverage options are available to them,” Lee said. P.S. Kevin Knauss is a Certified Insurance Agent and I can enroll individuals and families during this SEP. Peter Lee just forgot to mention my name in his press release.